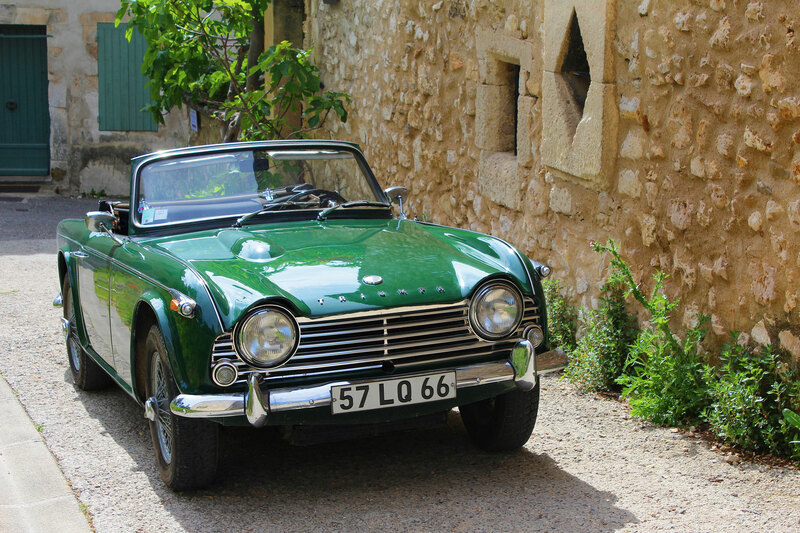 There’s nothing better than a convertible ride to enjoy the beauty of the countryside, fresh air and the scents of unspoilt nature ! The car roofs are opening on living paintings which had inspired many great artists including Van Gogh. Let’s have fun ! 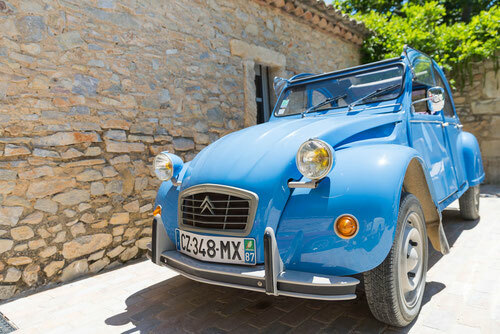 The car rental is available to everyone, the hotel guests and the tourists eager to discover new sensations. 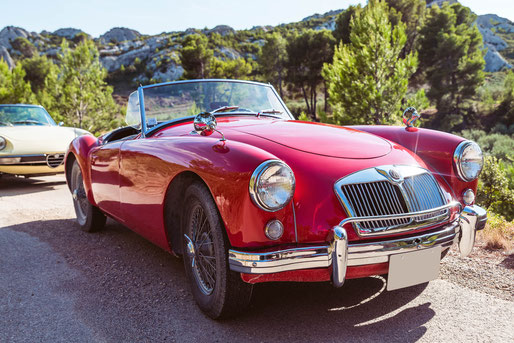 The convertibles’ fleet is at your disposal for private or professional events : weddings, rallies, seminars, team building, press shootings. Event planners, reporters and fashion designers can rely on our concierge to set up a tour. For sure you are going to feel like a jump in a not so distant past. Make as many breaks as you like! Rates include refueling, insurance, handling and road book. 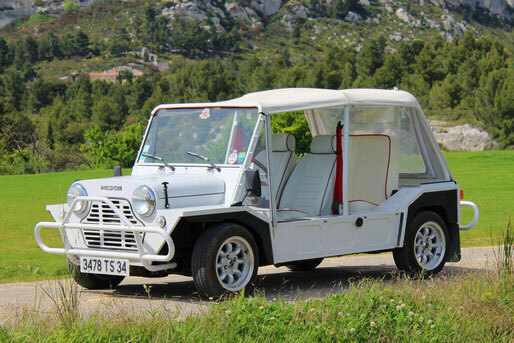 A legendary brand of the French coast, it sounds like adventure ! 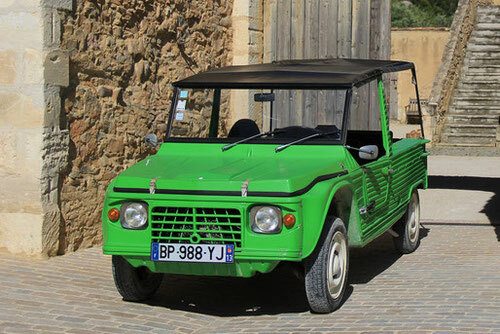 This car is very suitable for smaller routes such as Saint Remy, markets and surrounding villages. A small, open car, Mini Moke is deeply intertwined with Brigitte Bardot’s myth. It was her favourite means of transport to Saint Tropez port. Even if it’s no longer manufactured, this is the reason why the little British car is still so popular in Saint Trop’. 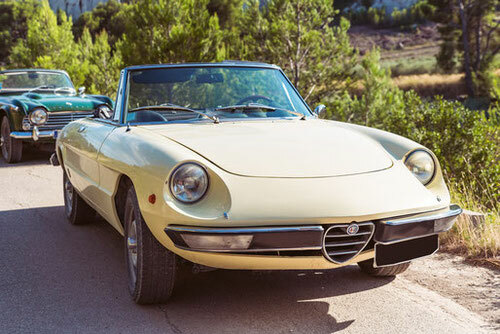 The Alfa Romeo Spider has marked 3 decades in different versions in tune with the times and the new technologies. One of the most famous model is the one starring with Dustin Hoffman in the movie "The Graduate" and the mythic soundtrack by Simon & Garfunkel. Probably the most popular English collector cars. 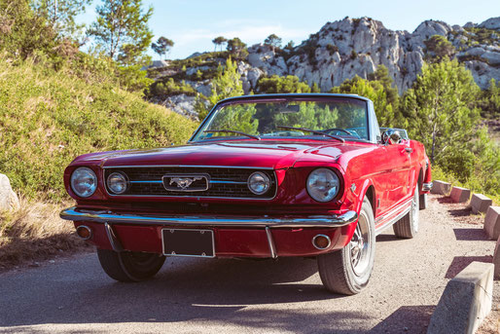 A charming little roadster with easy driving that you can pace with an authentic piece of swingin '60's hair in the wind. THE iconic 1960s model : Johnny Halliday, Alain Delon or Jean-Paul Belmondo, all the most famous stars of the era were driving this car at break-neck speed, the wind in the hair, along the Riviera roads. Time for a day, a weekend ... Or maybe more, to enjoy an American legend. Audrey Hepburn could not do without. Who's gonna take the wheel ?